Tired of dealing with awful acne breakouts and having to hide your skin using makeup and other products? Well, you might want to give the Exposed Skin Care Acne Treatment System a shot! We got our hands on one of these kits and tried it out for ourselves. Below is our full experience compared to other Exposed Skin Care reviews that we also read up on. We are including an overview of the products you get with it, the ingredients each component is made up of, and more. 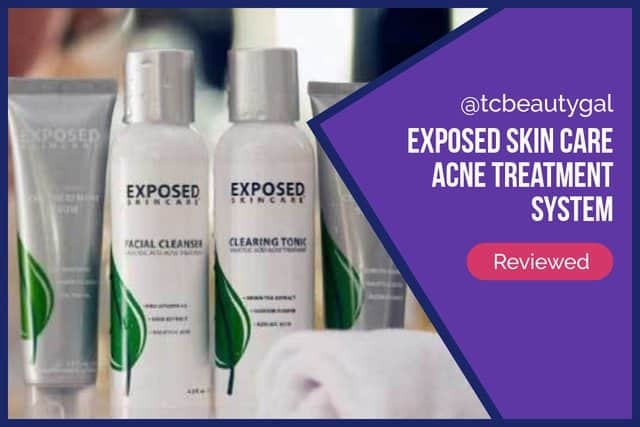 Exposed is somewhat of an underdog company when it comes to acne products. 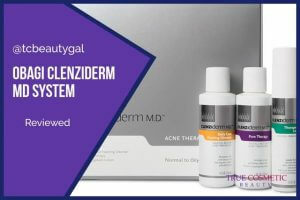 We’re all used to hearing about and seeing acne kits from big brands such as Obagi, Proactiv, and Neutrogena thanks to big advertising budgets, but some of these smaller companies really pack more punch and are generally a better option. Exposed Skincare is one of those brands. It’s a relatively smaller skincare company, but they have high-quality products that are designed to eliminate acne bacteria, unclog pores, manage your skin’s oil production, and significantly reduce redness & inflammation. FAST RESULTS: The exclusive combination of SCIENCE + NATURE found in Exposed gives you clearer, smoother skin. HIGH QUALITY: Exposed spends 100% MORE on the quality of our ingredients compared to even the most well-known acne systems. Exposed is SPA QUALITY and formulated to make your daily skin care routine something you look forward to. SAFE: Exposed does not overpower your skin like many products. We use a soothing blend of natural ingredients to heal and calm skin while clearing up your acne. Depending on which kit you purchase from Exposed you’ll get a variety of different products. Each one is designed to execute a specific task. Below we’ve provided a summary of what each product does, what ingredients are found in them, and more. The facial cleanser is the first, and possibly the most important, step in the system. This product makes uses of a powerful formula consisting of hydroxy acids and sage extracts to get rid of oil and dirt on your face. It also makes it way into your pores and destroys the nasty bacteria within your skin that is often the primary cause of acne. Ingredients: Purified water, cocamidopropyl, betaine, sodium olefin sulfonate, acrylate copolymer, triethanolamine, propylene glycol, polyquaternium-7, panthenol, phenoxyethanol, disodium EDTA, fragrance oil, sage leaf extract, citric acid. The clearing tonic is another important tool in the Exposed acne kit that does a number of jobs including clearing clogged pores, healing the skin, normalizing skin cell turnover, and reducing inflammation using a combination of various plant extracts, acids, and more. Ingredients: Salicylic acid (1.0%), purified water, glycolic acid, propylene glycol, witch hazel, dimethylethanolamine, phenoxyethanol, sodium hydroxide, green tea extract, passion flower extract, aloe leaf extract, sage leaf extract, fragrance oils. The acne treatment serum is found in all of Exposed Skin Care’s kits and is the key component in fighting acne. 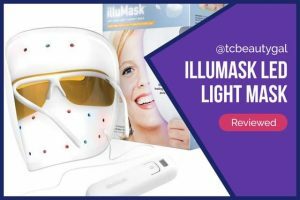 This targeted treatment effectively kills off acne-causing bacteria while at the same time healing and protecting the skin from future damage and breakouts. This serum prevents new blemishes and whiteheads from developing. Ingredients: Benzoyl Peroxide (3.5%), water, glycerin, propanediol, carbomer, green tea extract, tea tree leaf oil, phenoxyethanol, ethylhexylglycerin, disodium EDTA, sodium hydroxide. Want to know more about the other products that Exposed carries and puts in their larger acne kits? Visit the official website for further details. CLICK HERE TO SHOP EXPOSED ACNE KITS NOW! For those of you that are unfamiliar with the brand, Exposed products can be purchased individually, but they are much more effective and cost-efficient when you buy them together in one of the kits that the company offers. This is perfect for mild to moderate cases. The kit includes enough of each product to last you a total of 60 days and it also comes with a free Exposed membership. The Expanded acne kit is the most popular option and comes with 6 products. This package includes everything found in the basic kit plus the Moisture Complex product. The Ultimate kit is a much larger package that comes with a total of 9 different products. This includes everything from both the basic and expanded kits plus full sizes of Microderm Scrub, Clarifying Mask, and Probiotic Complex. TRY IT TODAY: You have nothing to lose except your acne! !